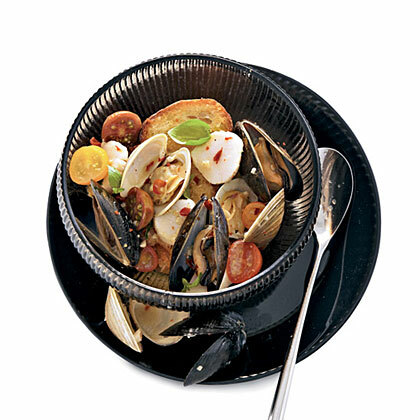 Mussels, scallops and clams are always eco-friendly choices. Dave Pasternack, chef at Esca and head of seafood at Eataly, both in New York City, loves to use them in this spicy, brothy dish. 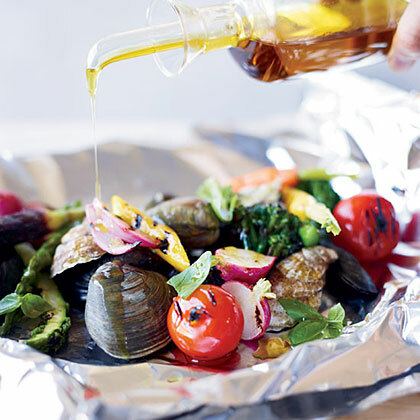 From clams and oysters to lobster and mussels, we've featured our favorite grilled shellfish recipes. Cartoccio means "paper" in Italian, which refers to the wrapping used to make packets for grilling. Here, foil packets preserve every drop of the delicious seafood juices for sopping up with crusty bread. If you love the secret Vietnamese crawfish boil you will love this copycat recipe. This video deconstructs the delicious garlic butter sauce. In the restaurants they serve the shellfish in a plastic bag with the sauce covering the crawfish. The earthiness of truffle oil is an unexpected complement to fresh shellfish. Saffron, tomato, and shellfish balance well. Garnish with mint sprigs, if desired. 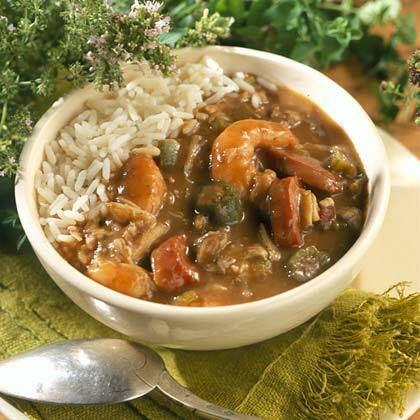 By toasting the flour in the oven, you can avoid the tediousness of standing over a stove browning the flour in the fat to make a roux. 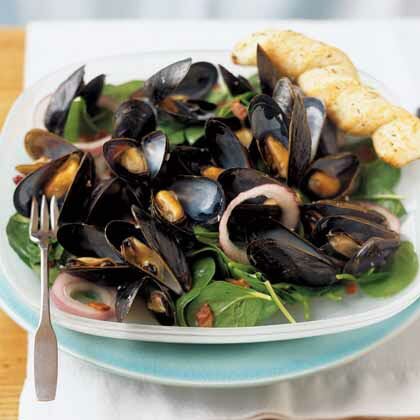 Gently rinse mussels under cold running water, and discard any opened mussels before you cook them. After cooking, be sure to discard any unopened mussels. Total time: 30 minutes. 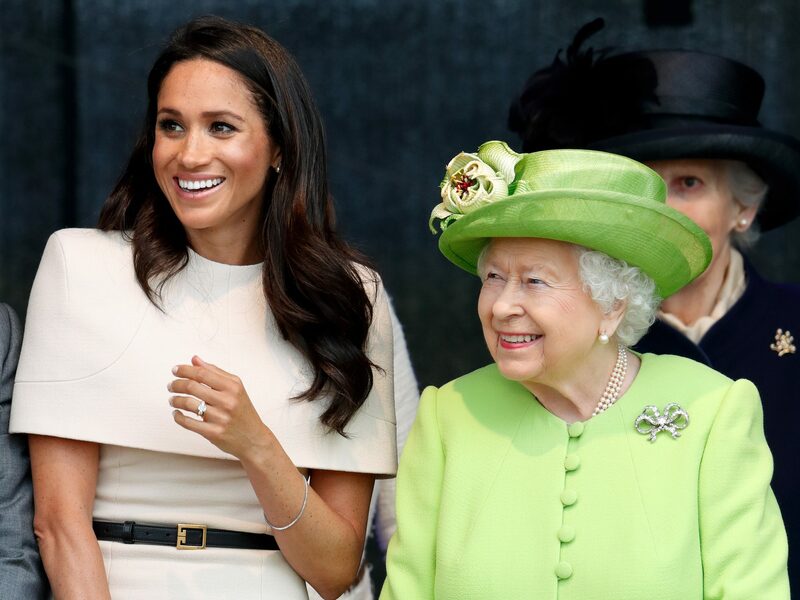 Did Meghan Markle Just Break Royal Diet Restrictions? Royal protocol can be confusing, but we're breaking it down for you. 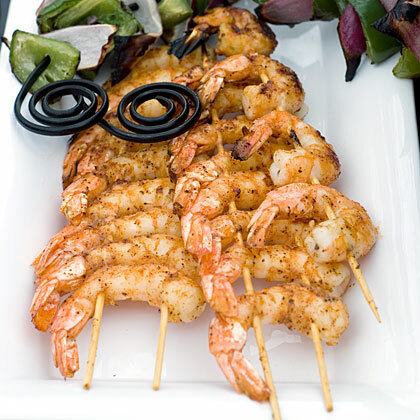 The most important thing to know when grilling seafood is what types of fish and shellfish are best to use. Next time you make lobster, save the shells to prepare this stock. You can also make it with an equivalent quantity of crab shells, or use a combination of crab and lobster shells. For a less expensive option, use shrimp shells. Straining the stock twice makes for a smooth, clean-tasting final product. This thick, robust sauce hails from Spain and keeps for about a week refrigerated. 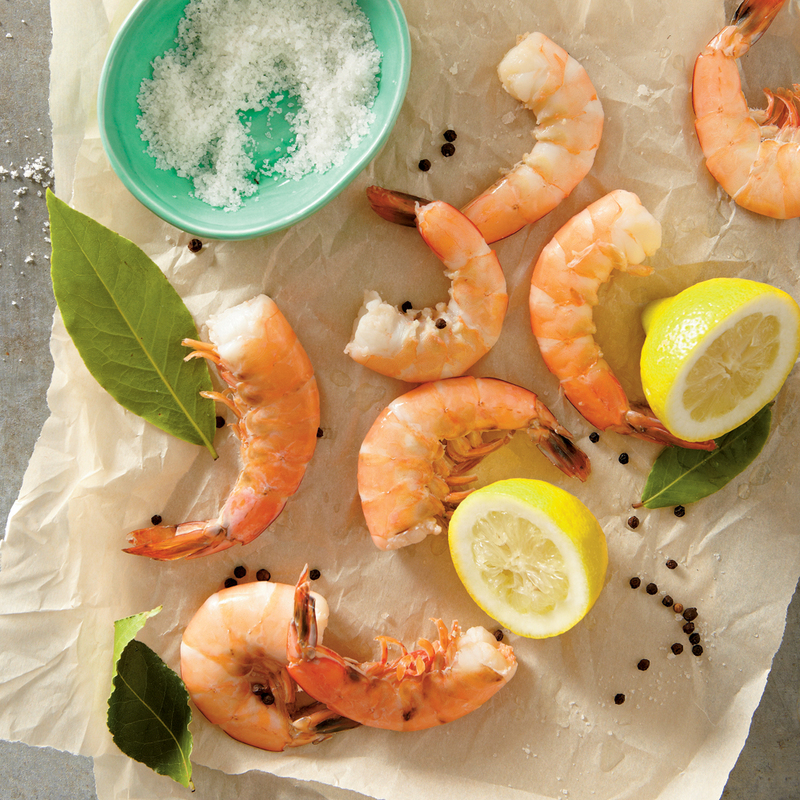 Buying peeled and deveined shrimp costs a little more, but it's a welcome convenience, especially when you're in a hurry to get dinner on the table.